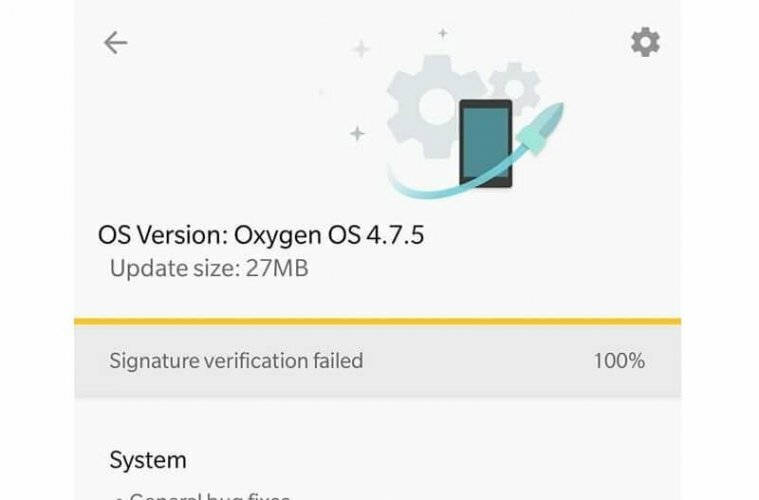 Want to update Oxygen OS, But system updater showing signature verification Failed Error?. Well no need to worry, this error is common on all OnePlus Devices. And recently users facing this Error in newly launched OnePlus 5T. If you’re thinking the problem is with you OnePlus device then you’re wrong. 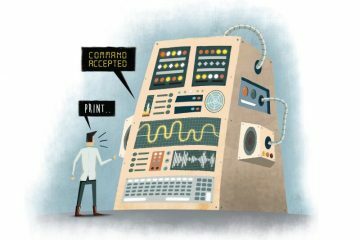 Because this error occurs due to corrupted or false update file. And yes, You can Fix Signature Verification Failed OnePlus Devices Error. As you know already, OnePlus devices show “Signature Verification Failed” Error after downloading the update file. Because after completing the download, device start verifying that update is for the same device or not. And if the update does not match with the system then this error occurs. I know you’re not here to know reasons behind this error. So here is two solution that you can try to fix Signature Verification Failed in OnePlus Smartphones. How to Fix Signature Verification Failed OnePlus. Solution 1: Delete OTA folder files and Local Update. Delete update file from OTA Folder. 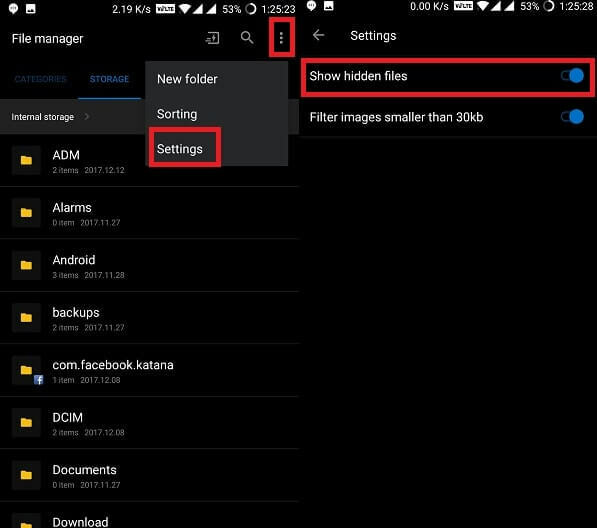 Step: 1 Open Stock File Manager of your OnePlus 5 Device. Step: 2 Tap on three dots from the upper right corner, and then tap on Settings. In Settings menu tap on Show Hidden Files. 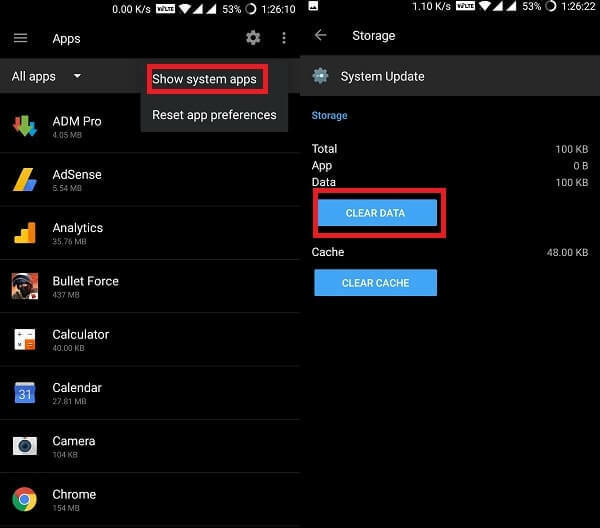 Note: – This option will show you all hidden files and folder of your OnePlus Devices. After deleting OTA File disable this option. Clear Cache of System Update. After deleting OTA file, It’s time to delete system update App Cache Files and Data. System Update app helps to update OnePlus devices. And clearing data and cache will help you to get rid of from Signature Verification Failed Error. Step: 1 Go to Settings> Apps, Tap on three dots (Upper Right Side Corner) and choose show system Apps. Step: 2 Now search System Update App and tap on it. Then tap on Storage and Clear Data of it. Note: After doing these two process don’t try to update. Because same error will occur again, because of corrupted Update File. To permanently fix Signature Verification OnePlus devices Error. We need to clean system cache, After that, we can flash full ROM zip File. First, Go to settings> About Phone > Tap multiple times on build number to enable developers options. 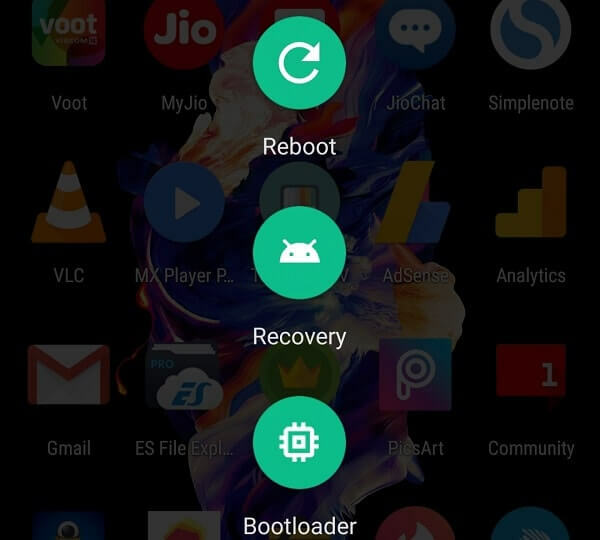 Boot into system recovery – Hold power button for few seconds> Tap on Reboot> Recovery. – In Stock Recovery, first, enter the password of your device to decrypt. – Go back to the main menu and tap on Exit> Reboot> Reboot. Flash Full ROM Zip File. As I mentioned before, this error is coming due to corrupted or false update file. So instead of incremental ROM pack, You need to flash full ROM zip file. And flashing new ROM zip file will fix Signature Verification failed OnePlus devices error. So, First go to the official OnePlus ROM download Page and download latest ROM zip file for your device. 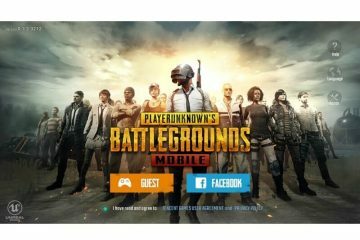 If the update is new then wait for 1 week to get full ROM zip file from the official site. – To Update Oxygen OS – Go to Settings> System Updates> Tap on toggle wheel icon > Local Upgrade. Now in the local upgrade, you will able to see ROM zip file tap on it to update. Note: If the zip file isn’t showing in local upgrade then check file is in the root directory or not. 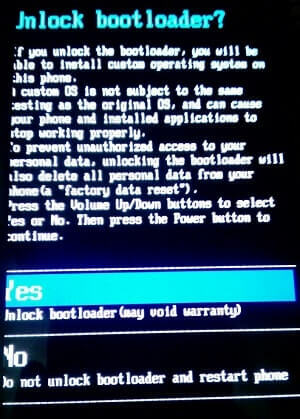 Solution 2: Unlock Bootloader and update using ADB Sideload. If you don’t want to go through this process, then there is one more solution. You can unlock your device bootloader and then by using ADB sideload method you can update Oxygen OS. In this solution we aren’t going to use system updates app, So no Signature verification error will occur. There are few things required to unlock bootloader and Flash latest Oxygen OS File. 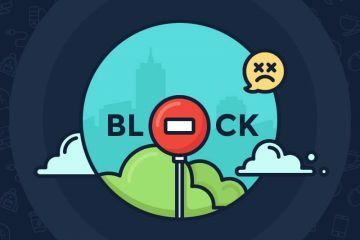 Unlocked Bootloader – Unlocking Bootloader will delete all your personal data, So first create a backup of your smartphone. 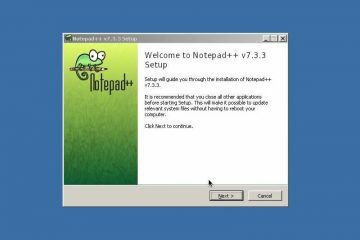 Download Latest Google Platform Tools on Computer – Download platform tools and Extract folder on Computer. And Press Shift + Right Click on the folder to open Command Window. Now, To update latest oxygen OS file through ADB sideload method follow steps written on root OnePlus 5 Article. That’s all folks, for now, Don’t try the second solution if you never flashed any ROM. You can try the first solution to fix Signature Verification Failed OnePlus Devices Error. But If still, you’re facing any issues while fixing this error, feel free to comment. Previous ArticleWindows 10 firewall Settings – Allow an App Through Windows Firewall. Next ArticleHow to Install Windows 10 Creators Update without losing data.